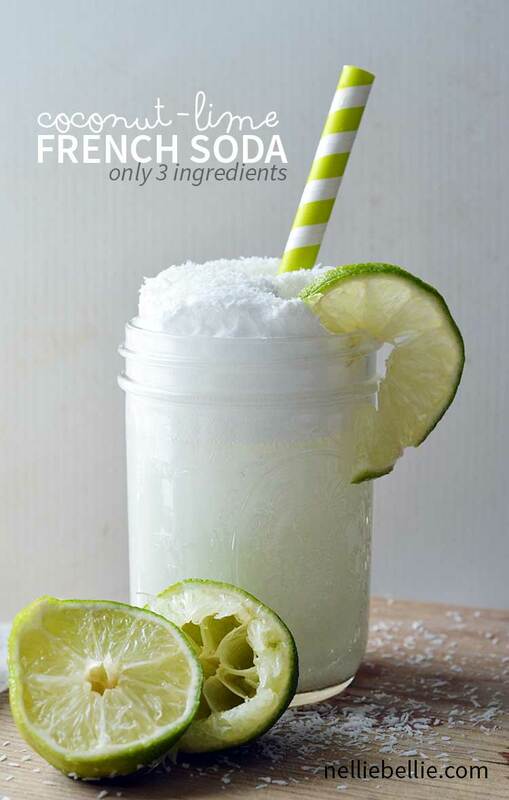 Coconut Lime French Soda | only 3 ingredients! This post has been sponsored by Pringles®, but as always, we only write about products we actually use and love. I mean, who doesn’t love Pringles®? Find our full disclosure here. This lime french soda fits in perfectly for us, because here at NellieBellie, we take snack times seriously. For serious. We think it is very important to take a few moments out of our work day to relax and enjoy a little something delicious. Often times our snacks take a few steps to get together, either because we are enjoying a new recipe for the site or testing out a snack we think you all will like. 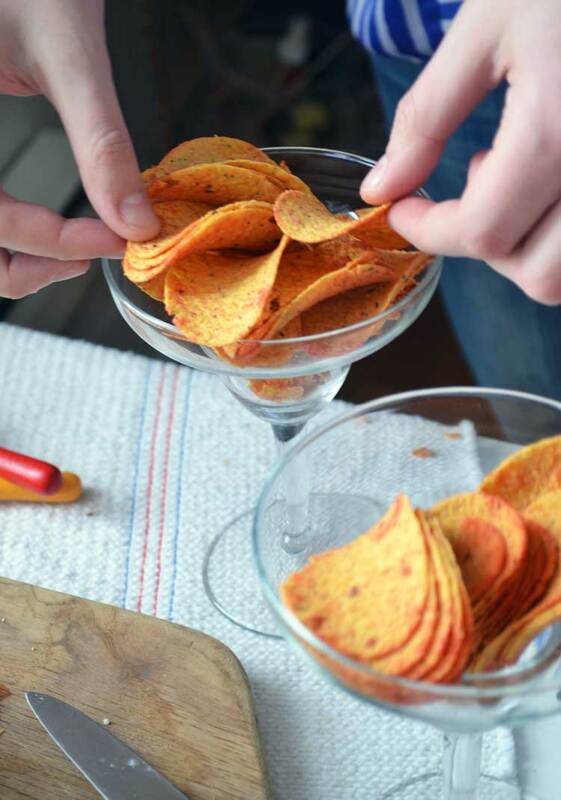 But sometimes, we really don’t want to go to all the work of putting together a new snack. We just want to enjoy a really tasty, simple snack. No fussing with ingredients and blenders and whatnot. That’s where Pringles® come in; it’s so true that “once you pop, you can’t stop”. Really. And the new tortilla version is really as good as they claim; the zesty salsa ones taste like chips and salsa, without needing the salsa or the mess that comes with it. We can’t leave the container on the table or the whole thing will be gone. Considering there’s supposed to be six servings in there, probably not wise. To prevent this problem, we put our snack into portioned containers and pretend we’re just trying to make our snack look more fancy! 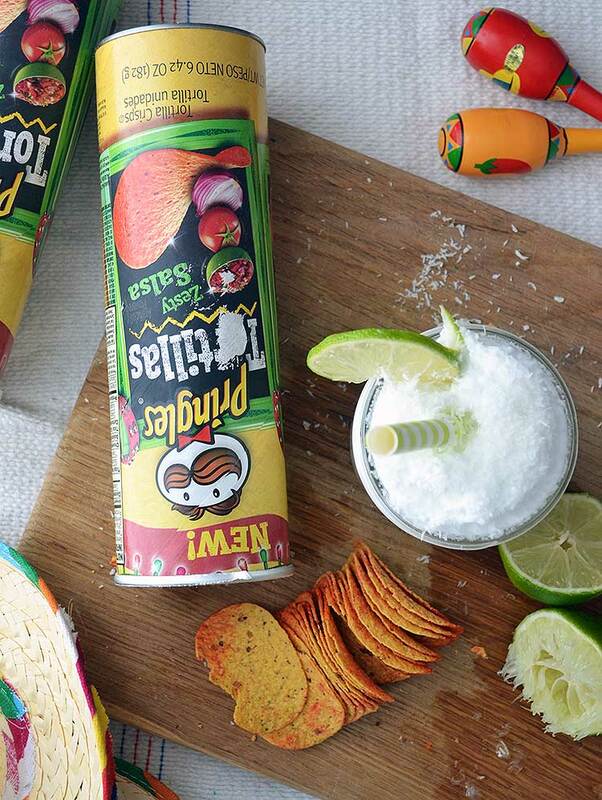 We pair our Pringles® with a really simple lime French Soda that takes just seconds to make, but feels fancy. It’s just three ingredients, ones we usually have on hand, and naturally creates something of its own “whipped cream” when mixed together. 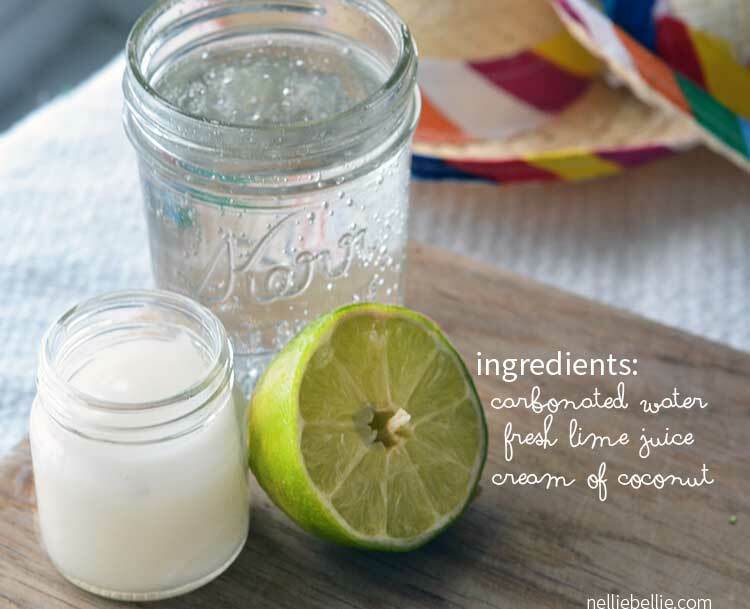 Mix 2 ounces of coconut cream, 2 ounces of lime juice, and 8 ounces of carbonated water stirred together and you’re done! Yum! What is that sitting on top of the cup of soda? Flaked coconut? Marshmallow Cream? Soap suds? Oh gosh, it DOES look like soap suds! Actually, the cream of coconut creates that with the bubbles from the soda. Can I make this in a punch bowl for a party, and will it stay foamy and pretty over a duration of 3 hours? You know, I’m not sure. I’ve never made it that way and every time I have made it it has been drank within minutes :). I would try making a glass and leaving it for a few hours to see what it does. Let me know if you do use it and how it works…good luck!